Miami Hood Cleaning Pros provides the highest quality restaurant hood cleaning service for a variety of establishments across the Miami FL area. We regularly service hotels, schools, restaurants, and cafeterias. Our experience and professionalism is allowing us to become the largest growing hood cleaning company in Miami & Dade County. Cleanliness and quality standards in all restaurants are very high. This is why our commitment to providing the best hood cleaning service in the area is one that we insure is always kept. Miami Hood Cleaning is a certified kitchen exhaust system cleaning company in accordance with NFPA 96 fire codes and is in compliance with all Miami area fire departments. In addition, our highly trained staff is full of skilled and licensed hood cleaning professionals. We also provide extensive and periodic cleaning of your entire kitchen, along with the cleaning of your kitchen exhaust system, that will allow you to comply with your insurance requirements. At Miami Hood Cleaning, we don't just stop at cleaning your kitchen's hood and exhaust system. While we are servicing your kitchen, we can also take care of several other cleaning needs in full. In addition to our primary services, we also provide restaurant equipment cleaning service, pressure washing, and steam cleaning. 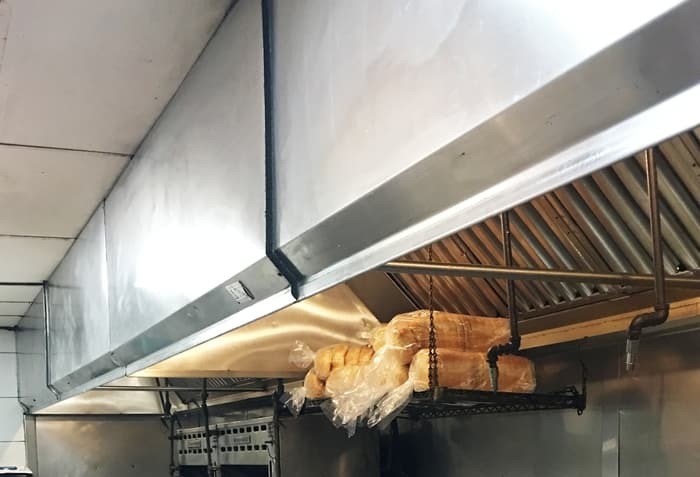 We also provide preventative maintenance for exhaust fans and hinges, filter replacement, rooftop grease containment, and cooking oil filtration. Hood cleaning is certainly our primary service, but our goal is to assist establishment owners with the other cleaning needs they may have, and make each kitchen we service shine from top to bottom! Impress your patrons and inspectors alike with a beautiful and meticulously sanitized kitchen. Every time we stop by for a service, rest assured, your kitchen will be left sparkling, and looking like new. This restaurant hood cleaning service outshines all others! Our company has the reputation for being the best for a reason! We love turning heads after our work is complete. When you hire Miami Hood Cleaning, you are getting the highest quality kitchen equipment cleaning service in the Miami area. 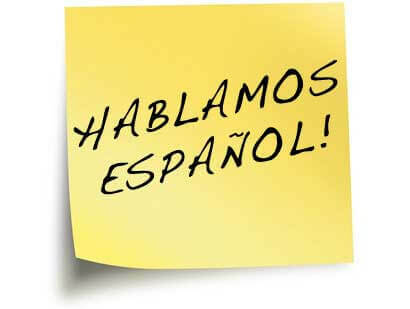 We excel in our industry because we not only take care of your cleaning needs, but we educate and inform along the way. Running a restaurant is no easy task. The list of things to take care of never ends. 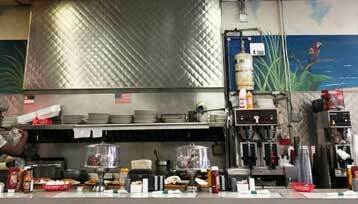 One of the leading causes of fires in restaurants are grease fires due to grease build up. Don't let this happen to your establishment! We have an experienced and knowledgable staff of trained technicians who are certified exhaust cleaners. They will thoroughly inspect commonly overlooked areas that may be hidden from plain view, to determine if there is a hazard present. During this inspection our exhaust technicians will explain the process, and in addition, they will educate workers on preventative measures and provide tips on proper upkeep. We are well aware that a kitchen must run smoothly at all times to be efficient and profitable. Business owners cannot afford to run the risk of equipment malfunctioning. This is why we take our jobs seriously. In accordance with NFPA Standard-96, as well as kitchen hood system health department regulations, we will clean and inspect your entire system, top to bottom. We inspect and evaluate the roof exhaust fan, the duct work, and everything in between. 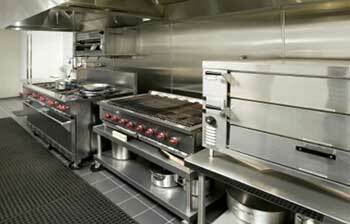 You can rely on Miami Hood Cleaning to do a top notch job cleaning and maintaining your commercial kitchen. Not only is our staff is highly trained and experienced, but we are sure to show up at your establishment looking and professional and maintaining a well-mannered attitude. Miami Hood Cleaning and its workers respect your property, your employees, and your customers, and we know they are important to you. 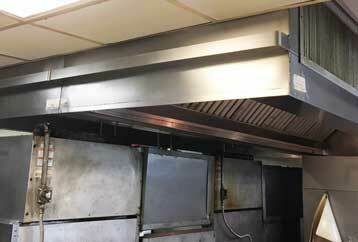 Need A Hood Cleaning or A Exhaust Hood System Checkup? - Know The Signs! How do you determine if it is time to call us to schedule a cleaning? Also, how will you know if you need a checkup on your restaurant equipment? These are great questions, and we love to provide our clients with a checklist that outlines the answers. Every kitchen and hood is different, however most require regular hood system cleanings to maintain standards. You may be thinking about a cleaning, or wondering if your kitchen needs one soon. There are some tell tale signs that a cleaning is in order, and if you go down the list and see any in your kitchen, it is probably time to pick up the phone and schedule a visit! There is grease reside that will not lift with normal cleaning efforts and appears stained onto a surface. The hood or duct emits a strong greasy odor. The exhaust fan makes a rattling noise. You cannot remember the last time your kitchen hood was cleaned professionally. The roof shows stains from grease (this may be hard to detect). There are dents on your hood system. Some of these signs may seem minuscule, however if you notice any of them in your kitchen hood, you should act now. All of the above can pose a big risk to the safety of your kitchen safety and efficiency of kitchen equipment. They are warning signs that should not be ignored. Grease on a roof will cause the roof structure to break down at a rapid pace. It can cause leaks from areas that begin to weaken, and is also a fire hazard. Pests, mold, and mildew can also develop from a greasy roof. This is why it is imperative that regular cleanings are scheduled for maintenance and are implemented by professionals who have the skills and know how to combat these issues. 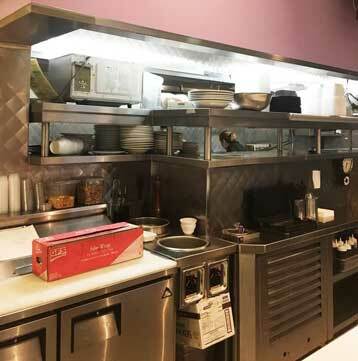 Commercial kitchen cleaning and restaurant hood cleaning requirements are set in place by fire marshals, insurance companies, and health inspectors. A good rule of thumb is that every 90 days a professional cleaning should be scheduled. This can vary from restaurant to restaurant however, so if you are in need of a more accurate schedule requirement, please contact your local board of health or your insurance company. is the leading hood cleaning service company and is fully insured, bonded, certified and licensed. If you are in need of a kitchen cleaning service in the Miami area, contact us today at (305) 771-4921. We would be happy to schedule a cleaning for a convenient time that works for you and your establishment.